Who was Arthur Edward Jerman? 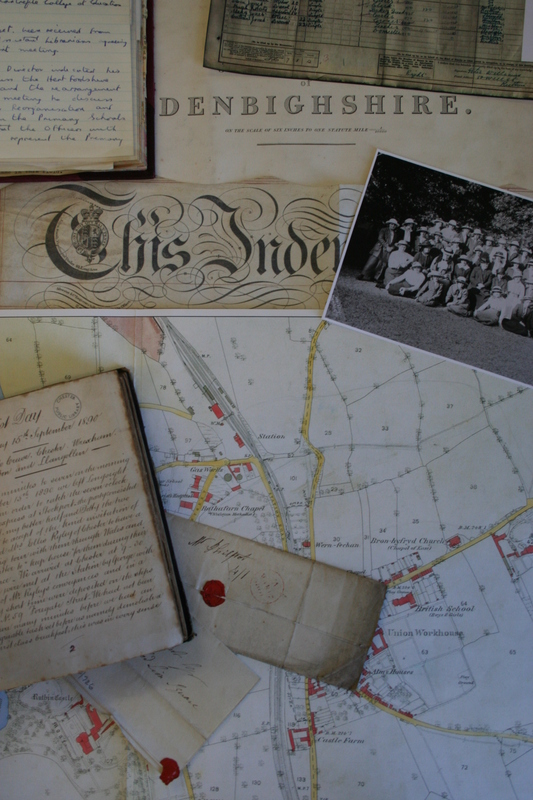 Two years ago we posted a plea for help to discover more about the author of a World War One diary which was found in an outbuilding of a house in Ruthin (see previous post here). We asked for people to come forward to offer information about the author of the diary, Arthur Edward Jerman and his connection to Denbighshire and we are very pleased that his great nephew got in contact with us tell us more of the story and show us the medals he was awarded (pictured). Arthur Edward Jerman was born in Wrexham in 1873, son of Rev. Edward Jerman. He was educated at Wrexham Grammar School and went on to obtain a scholarship to study at Bangor University. He was appointed as Assistant House Surgeon at Westminster Hospital and later became Senior House Surgeon. He also served as Medical Officer in Kenya and returned after three years to Erith in Kent. His first public appointment was that of part time medical officer to the sanatorium, in Kent, which he held for 27 years. Dr A.E. Jerman died in 1928 in Erith hospital after suffering with heart problems. During the First World War he served as Leiut.- Colonel of the 4th London Ambulance of the 47th Division spending to years in the war zone in the neighbourhood of Ypres during which time he wrote the diary. The diary began one hundred years ago today on 16th March 1915 when he leaves his wife, Maud, at Watford train station and departs for Havre on the SS Inventor. The diary highlights the medical corp and their activities including casualty evacuation and caring for the injured. The diary is around 200 pages in length and records Dr. Jerman’s time in France up to 21st November 1916. It is handwritten and in some places difficult to decipher and Dr. Jerman’s great nephew has been working on creating a transcription of the diary over the last year which is available along with the original to view at the office. For more information about our holding see our website here. In 2012, we highlighted the tragic story of Pte Harry Jones from Mwrog Street in Ruthin who was killed during the First World War having never met his third child. Last month, his collection of letters and postcards from the front (DD/DM/1163) attracted some very special visitors to our office. 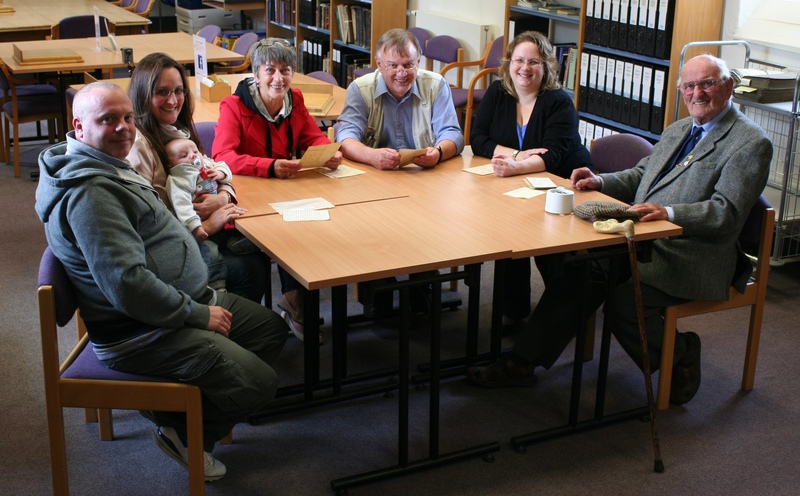 The four generations of the Jones family who came in to read through the letters written by their relative to his wife during the first seven months war, included Harry’s nephew, Bernard Jones, who is now 102 years old, his son, grand-daughters and great grandson.